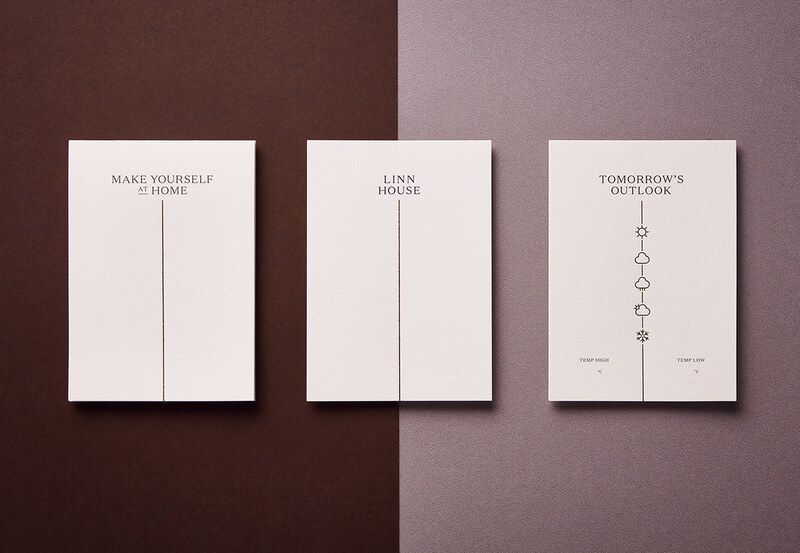 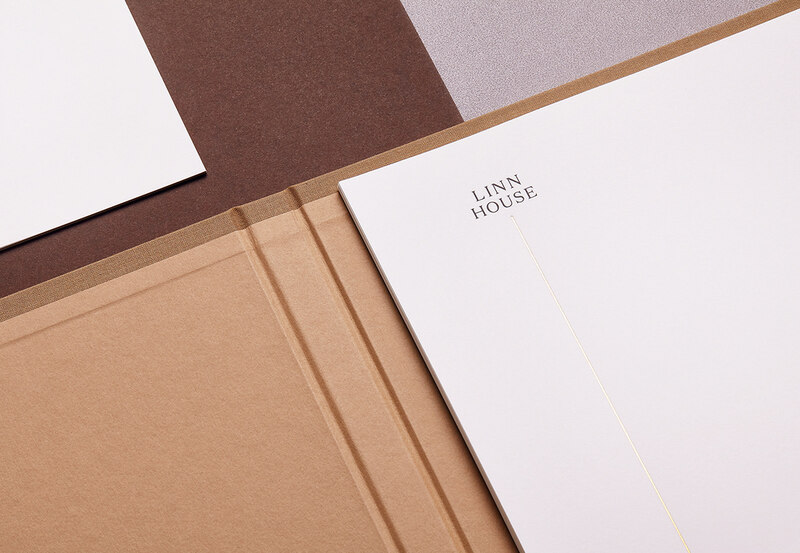 With a portfolio of iconic whisky distilleries across Scotland, Chivas Brothers place a great deal of value on brand experience, and we were tasked with rebranding their exclusive brand home, Linn House, a Victorian lodge in the heart of Speyside. 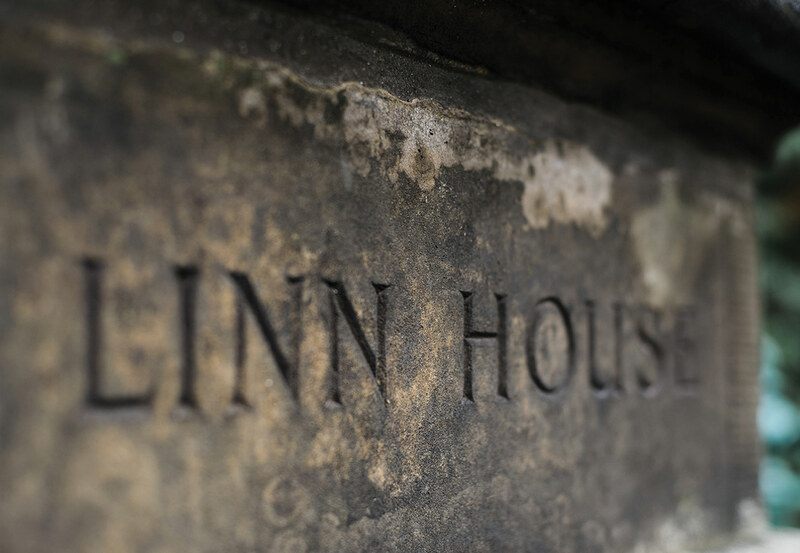 Having been lovingly restored with period features and more recently a cosy, well-stocked whisky tasting room, Linn House welcomes invited guests and brand ambassadors from across the globe. 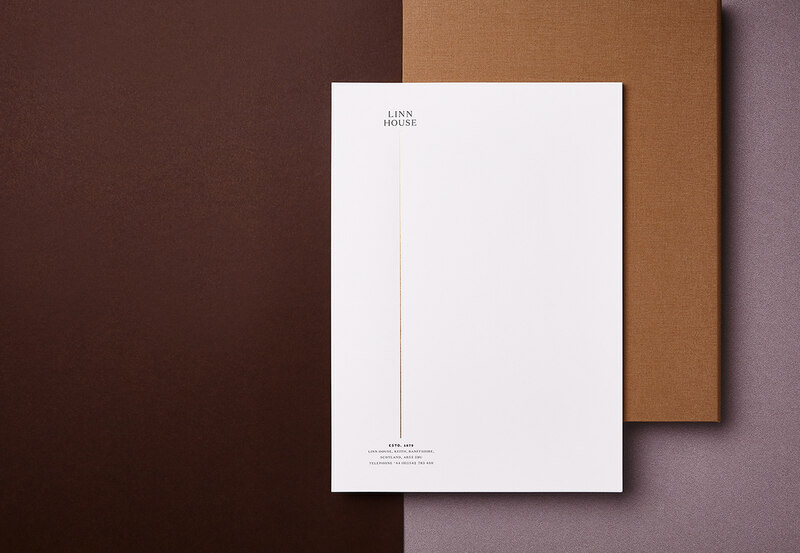 We were conscious of designing an identity that would not only complement the iconic surroundings but would strike a chord with a cosmopolitan audience. 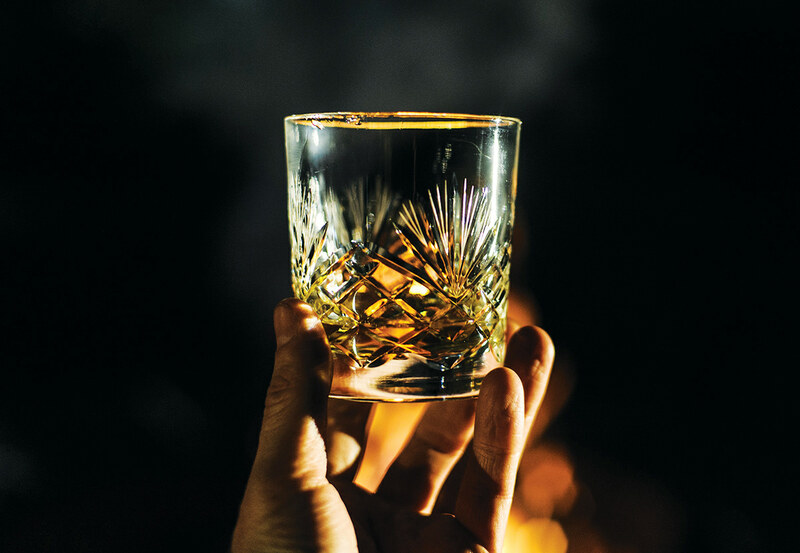 Situated in the town of Keith, Linn House is just a short walk from Chivas Brothers’ Strathisla Distillery, with its iconic twin ‘pagodas’. 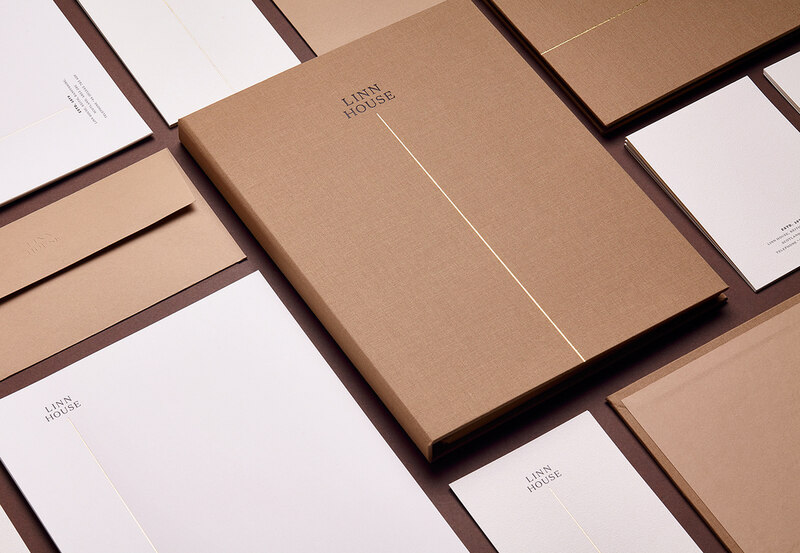 With the nearby Linn Falls as inspiration we began exploring an identity that would reference both the rushing waters and the distinctive ‘pour’ of a dram of whisky. 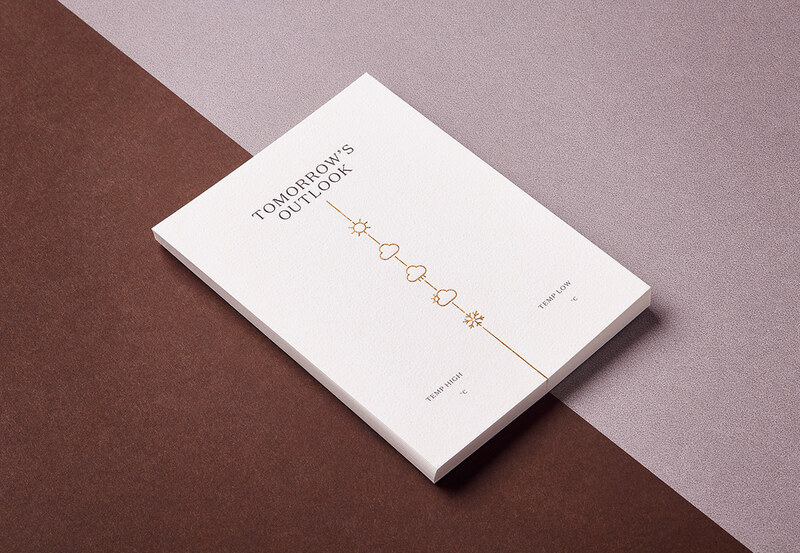 A more contemporary uppercase typeface was chosen to appeal to today’s whisky connoisseurs, while tactile paper stocks and a gold foil finish across all materials added a suitably luxurious feel.